Sometimes, we need a different approach to our daily time in God’s word. Beloved: 365 devotions for young women from Zondervan is just that – geared specifically to preteen and teen girls who are learning what God’s will is for their lives. Beloved is a beautiful hardback book. The cover is just lovely with pink metallic flowers and lettering that shimmers in the light. At just over 5″ x 7″, it fits comfortably in hand while reading. The pages are beautiful, as well, continuing the lovely flower motif from the cover through the entire book on each page. Each devotion is just a single page, so it doesn’t require a long time to read through the scripture and accompanying thought. The page has the day, the scripture printed, a few paragraphs on the scripture and four lines at the bottom to journal your own thoughts, if interested. There is also a matching satin ribbon that is bound into the book to mark your place. Finding Godly role models is a wonderful things and this lovely book highlights many of them – from women we recognize such as Mary, Elizabeth, Ruth and Naomi to many we don’t think of immediately such as Zelophehad’s daughters, Manoah’s wife, and Caleb’s daughter Aksah. My girls have found this to be a beautiful book and were interested in sitting down with it right away. We are going to be using this as part of our morning devotions as a family. As we take a look at different women in the Bible and how they related to God, they will hopefully find much encouragement to grow into the women God has created them to be. Best-selling author Rick Warren has created a simply beautiful children’s book showing the expansiveness of God’s love. God’s Great Love For You is a sweet reminder for children that God’s love is everywhere and is always with you. It starts at the beginning – God created the world, the universe. And everything that is in the world.But it quickly moves to the fact that God created you, the reader. What an important truth for our youngsters to know, understand, and believe. And the reason God created you is love – His love for you. It is deeper than the deep things on earth. It is higher than the high things on earth. It is great and is everywhere. No matter what. The simple statements are easy for children to listen to and are supported by absolutely lovely pictures, created by Chris Saunders. This would make a beautiful gift for any child. I am holding a drawing via Rafflecopter for one copy of this book. It will be sent to you through Flyby. Only open to continental US residents. 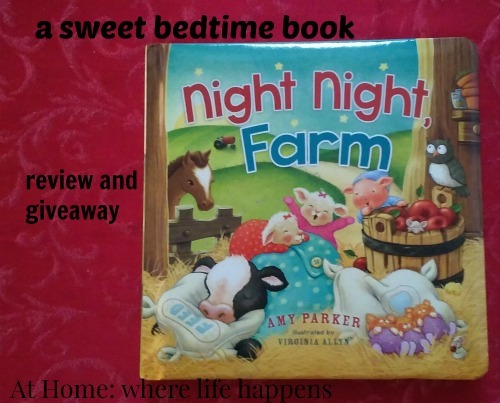 Click on the link below to be taken to the Rafflecopter entry form to win a copy of this book. A while back, I reviewed a book titled When We Last Spoke. Well guess what? It is free on Amazon right now, but only for a limited time. Grab Your Free Copy of When We Last Spoke but clicking that link. The book will not be free to too much longer. Want to know more about it? Read my review on When We Last Spoke and then go grab Your Free Copy of When We Last Spoke . Disclaimer: I am sharing this because it was a fun book and you can get a free copy. I am not being compensated in any way for this post or through the Amazon link. I was asked to review the Once Upon A Time Holy Bible and the Once Upon A Time Storybook Bible. This children’s version is a series of retellings from the Bible. The book begins with a page about the Greatest Stories Ever Told – the real stories from the Bible. They are true and this page introduces them. There 18 stories from the Old Testament and 15 from the New Testament. Each story is a short retelling based on the Bible. It has a related scripture to go along with it. Sometimes this scripture is from the section of the Bible that the story is; other times it is from a very different place. Each story is also accompanied by beautiful illustrations. Beginning each story with “Once upon a time . . .” gives a feel of fantasy to the stories, which I did not care for. 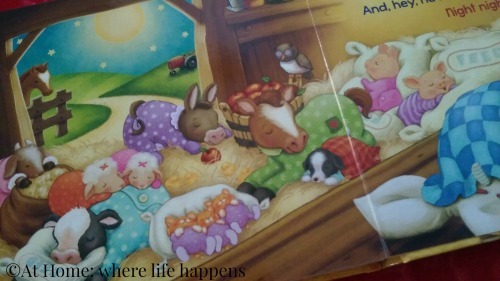 Each story also ended with a “Happily Ever After.” These I did kind of like because it summed up a theme from the story that was relevant and would help a child focus on aspects of God or of their walk in His will. This would make a nice edition for a child to look through but it is a storybook version. Don’t expect a whole lot of growth in the child’s knowledge of the Bible from this version. This New International Reader’s Version (NIrV) of the Bible is a full version of the Bible. It includes a small glossary at the back and highlights a few stories with pictures throughout. These highlighted stories are where the theme of Once Upon A Time comes in – all except the final one are stories of a man and woman: Adam and Eve, Isaac and Rebekah, Ruth and Boaz, Esther and the king. These images are not placed in their actual Bible locations, which is something I don’t care for. This is a hardback book that is about 5 inches by 7 inches. It is rather small, which influences the size of the typesetting. The type is very, very small. I had a hard time reading it because of the size. The pages are also very thin and will tear easily. All in all, I don’t really see this as a child’s Bible. You can purchase these Bibles wherever books are sold. You can find the Storybook Bible at Sam’s Club or wherever books are sold. If you would like to purchase online, please visit HarperCollins/ZonderKidz. This is Fireside, Texas. Nestled in the hill country of central Texas, this little town is full of all the quirky, fun-loving, interesting friends and neighbors that make life just a tad bit more fun. Living in Fireside, we find Walt and Ruby, Juliet and Evangeline. Walt and Ruby are raising their granddaughters Juliet and Evangeline when their father is called to war and their mother decides her calling is on the stage. While Juliet and Evangeline find love, care, and warmth with their grandparents, there is an ever-nagging feeling of something missing. Walt and Ruby are the perfect example of long-lasting love and marriage and the girls realize just how blessed they are to have such a family. Busy days on the farm are followed by cozy nights in the farmhouse. Both are full of family and love. Each week the girls do many things that help them learn to be a part of the community and to help those that can’t help themselves, even when it is hard. One example is helping an older lady by taking her meals each week. The girls find out that Ruby has been doing this since she graduated high school. This, the girls discover, is what neighbors do for each other. Most of the book takes place when the girls are young, though it opens and closes in the present. This flashback setup does leave bits of the story that you have to be patient for. For example, we find out right away in the opening of the book that Juliet and Evangeline are estranged. The reason for that does not come out until the book is almost over and the setting is once again in the present. 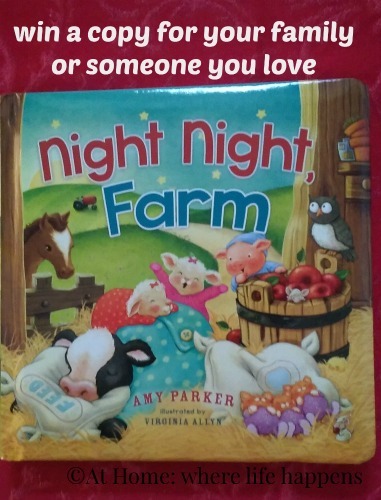 The closing of the book brings some answers and encouragement for families to live and love and forgive, though it wasn’t as smooth flowing and comfortable to read as the majority of the story. This was an easy read, with plenty to make you smile and laugh and wish for those carefree days, sitting in the shade of a tree in a small town sipping lemonade and wondering what your neighbor is doing. Marci Henna wrote a winner with this one. Henna was born in Austin, Texas, but spent many years growing up in Kenya where her family worked at a medical research station. She moved back to the Texas Hill Country as an adult, living on a ranch that has been in the family since the 1800s. She currently lives in Austin. If you enjoy easy to read stories that remind you of a simpler time, then this is a story for you. From February 20-24, Henna will be giving away a FREE Kindle version on Amazon. Please enter the giveaway for a single copy of this book by Marci Henna by filling out the Rafflecopter giveaway. Just click the link to be taken to the form. This is open to US residents.